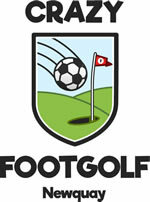 Footgolf in Newquay at Newquay Crazy Footgolf located at Trenance Leisure Park opposite Newquay Zoo. This course offers plenty of parking as it’s located right by a pay and display car park. 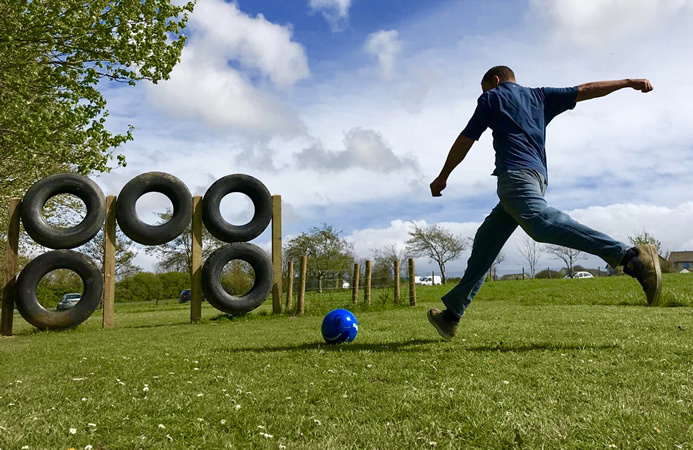 This new addition to the Footgolf scene in Cornwall combines both skill and accuracy as you weave your way around the obstacles on the 9-hole course. The course is welcoming and and there is no dress code. Football hire is included in the price. This is an ideal course for playing Footgolf with friends and family in a relaxed and friendly atmosphere. The course also welcomes group bookings from children parties to Stag and Hen celebrations. There really is something for everyone at Newquay Crazy Footgolf. What are you waiting for? Come and give this new and exciting course in Newquay a try, you won’t be disappointed. Please note that the kiosk at Newquay Crazy Footgolf is cash only. Newquay Crazy Footgolf is located at Trenance Leisure Park which is a short walk from the centre of Newquay. There is plenty of pay and display parking across the road, a cafe directly across from the course and public toilets are 2 minutes away.